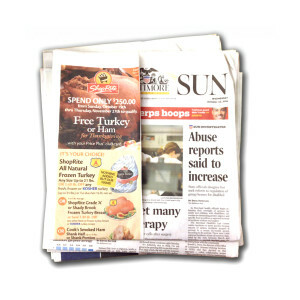 Purchase back issues, from the past 30-days, of the Baltimore Sun and its many other publications i.e. Towson Times, The Aegis, The Capital and more. Issues of The Baltimore Sun, Annapolis Capital, Carroll County Times, Maryland Gazette and many Community Newspapers (e.g. The Towson Times) and The Aegis from the past 30 days are available. We will use your email address and phone number to contact you if there are any questions on your order. Your credit card will not be billed until the order is ready to ship. Please note - You must choose publication from the dropdown and you will be prompted to select the publication date for your zoned section back issue in the cart. You must enter a date in format mm/dd/yyyy. If you've missed the 30-day cut off window for back issues the Sun Store offers full page reproductions. Microfilm scanned page reproductions of The Baltimore Sun are available from 1837 through 1988. Page reproductions made from digital files are available from 2001 to present day. 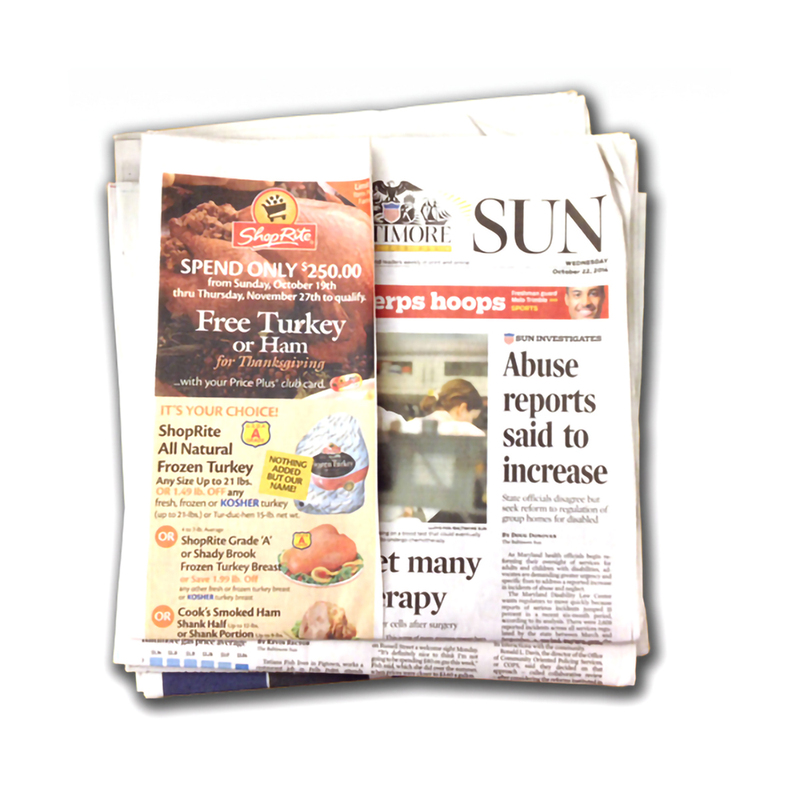 Editions of The Evening Sun and editions published between 1989 and 2000 are not available. These great keepsake items are printed on glossy-photographic paper in the exact dimensions of the published page. The Baltimore Sun's articles are sometimes published online a day in advance from the print edition. If you are unsure of the article's printed publication date please contact Katie Carmichael at 410-332-6027, Monday through Friday, 8 A.M. to 4 P.M., for verification.